At my recent trip to Gamescom this year, the very first game I wanted to check out was one based on something that I have very fond memories of. This is a game based on a film that superbly blended the Science Fiction and Horror genres together, creating one of the most iconic films in the long history of entertainment. 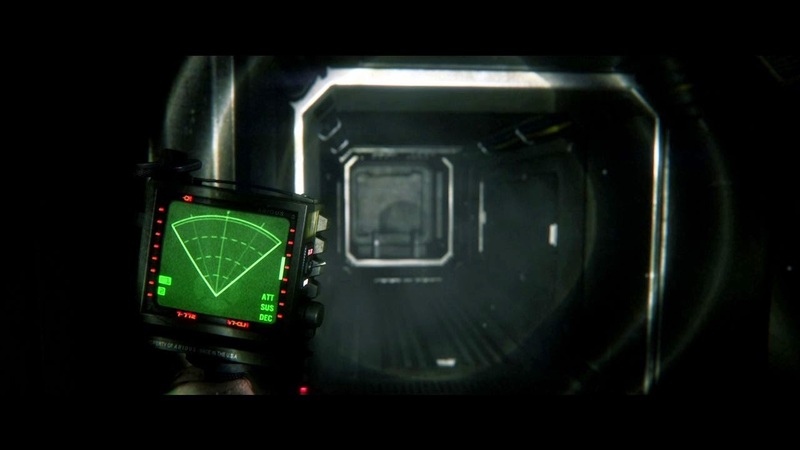 This game is Alien Isolation and wow did it impress me. As the demo began, I found myself in a side corridor that felt more like an open planned room than a corridor. I noticed around me were pieces of scrap metal and other such collectibles that had no use during the demo, but will serve as your crafting materials upon the title’s release later this year. In this same room was a Flame-thrower and like any sane person in a hopeless situation, I picked the weapon up, hoping that it'd further aid my survival. It looked good from the first person perspective and at this point, memories of Ellen Ripley blasting the Alien nest towards the climax of Aliens immediately came flooding back to me. Would this weapon be great against the Alien threat? Could this weapon be the key to my survival or would it serve as a hindrance and attract the Alien towards my location? These were questions I asked myself and questions that were never answered. Why? I didn't use it. to guide you through the darkness ahead. As I made my way around the corner while familiarising myself with the controls, I slowly approached a T-junction, crouching behind several stacked boxes, peeking over and around the obstruction and at the same time, checking my tracker for any signs of movement. Everything was clear and so I readied myself to move further into the corridor, only to discover my tracker had stopped working (the button to bring my tracker up did nothing, but let's not forget the game still has some time before it's due out, so technical glitches are sure to show themselves). Frustratingly, just as this happened, the Alien immediately showed itself, dropping down right in front of me with a solid, heavy sounding thud. I panicked and moved away from it as quickly as I could, hiding behind the crates once more and ended up accidentally flashing my torch right at the thing. I then tried to pull out my Flame-thrower and accidentally pulled out a Flare instead (hooray, I'm here by the way. Just look at me. I've lit myself up and everything! ), holding it in my hand as I fled the area. I thought for sure it had seen me, especially when I threw the flare into the corner I crouched and hid in, but no, it must have had its back to me. Now in the clear, but without a working tracker, the game began to increase the suspense dramatically, as it forced me to take an approach with even greater caution. As I made my way through the side rooms, I kept peeking around to see if the Alien was about. With no tracker all I could go on were the sounds above, below and around me and believe me when I say they weren't pleasant. The pipes would rattle as if something were scurrying through them, lights would flicker and all kinds of ominous audio effects could be heard as I made my way through each room I came across, constantly fearing being grabbed, eaten or dragged from behind. I looked one way and the Alien wasn't there, I looked another and it wasn't there either and so I peered around the doorway of the room I had just entered and nothing was there either. Still, it seemed quiet....too quiet. I then turned around and crouched under a desk (you can now interact with the environment so to speak, allowing you to climb under anything that looks like a good hiding spot just by moving towards it. If you want to go under something, just move towards it and you'll automatically duck under and into the crawling space) and just as I did, I heard a loud and heavy thump to my right. As I turned, all I could see was a very long tail sliding across the floor back around to my left and as I watched from under this desk table, the Alien made its way around the corner and past me, back out the door I had just been peeking through moments ago. The coast was finally clear and so I once again made my way out from under the desk and around the room to my right, crouching the whole time as I looked for some ID cards and a Keycard that my objectives said I needed to collect. Eventually I came to a stairwell and with no Alien in sight; I ascended up to the top floor and found myself some more collectible crafting components. Beside me was a small cupboard that I was able to hide in. As such, I climbed in and low and behold, the Alien appeared, except it seemed to think I was in this cupboard, lowering itself towards the ground in a crouching position as it peered through the slits and looked directly at me. I thought for sure it had seen me, but I was swiftly given a button prompt to hold my breath and as I did so, I was able to pull my head further back into the cupboard. The Alien then went away but I had a funny feeling something wasn't right and so I remained inside the cupboard and luckily for me it was a good job too, because the alien turned around and came back to check on me one last time before I left this tiny, cramped cupboard. Finding myself back at the starting area I turned around and made my way to the right this time, but was soon forced into a side room as some gas pipes caught fire ahead of me. Little did I know, the Alien was once again searching for me and this time just as I ran, I came to an abrupt stop. "Why can I not run?" I thought to myself and that was when the camera panned down towards my stomach as the Aliens tail had punctured its way through me. I lasted a whole seven and a half minutes with no tracker, but the creature finally caught its prey. My next attempt proved nothing more than a way to slightly prolong the inevitable. By once again moving around the corner of the starting area, I turned right this time and ran for it. All I could see was the darkness ahead, but waiting for me was the Alien once more (it seemed to have a pretty good idea of where I was at all times). The dark figure started to head towards me and so I spun right around and legged it back towards the way I came, crouching behind some hollow concrete tubes, stacked to one side. There was enough space to move around this from two directions and as I crouched behind it, I could see the Alien still moving towards me. In fact, it was the other side of these concrete tubes and I could clearly see it through the hollowed out holes before my face. As it made its way around, I too made my way around and away from it, still crouching. It knew I was there and for around 30 seconds I kept strafing around this small block of concrete tubes as it followed me, until it eventually got fed up with the game I was playing, gave up and decided to walk off. I found this to be pretty interesting as it didn't ever occur to me that boring an Alien was possible. As the demo ended, I spoke to my friend and colleague beside me who did in fact use the Flame-thrower, stating it was very ineffective and just aggravated the creature as it ran right through the fire and grabbed him. Everything is as low-tech as it should be! 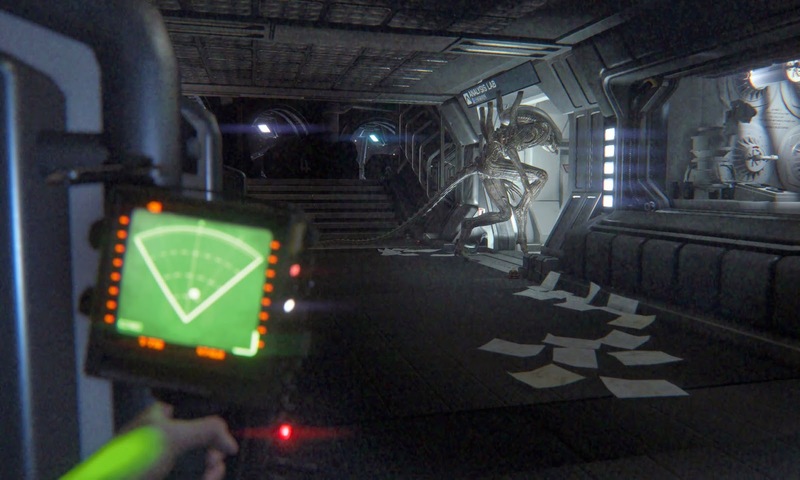 My final thoughts are that Alien Isolation did an incredible job at recreating the tension, atmosphere and feelings you first experienced watching Alien/Aliens all those years ago, and with set pieces looking as though they've been pulled straight from the film as well as a very limited GUI, you truly found yourself immersed in the title. 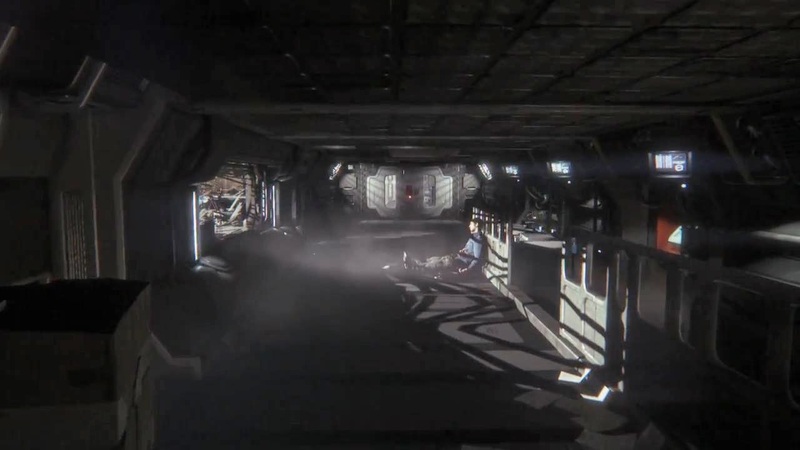 If I were to choose one thing that concerns me about Alien Isolation, it would be the fear factor. My reason for this is that if you keep on dying over and over again, the fear factor may eventually lose its appeal (mostly due to the rate you'll end up seeing the Alien), but having said that I'm interested in seeing what Creative Assembly do to combat this. I'd also like to point out that I didn't get a true feel for the game until I played it myself, so don't let the trailers or the inclusion of weapons put you off. 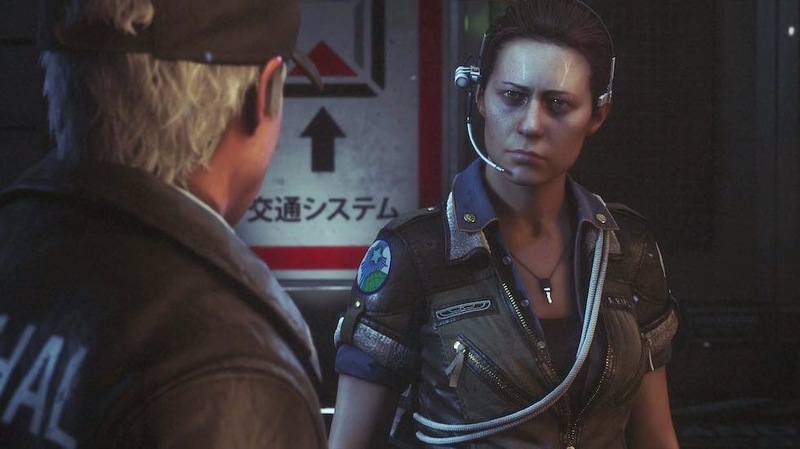 The game is dark, tense and a far truer take on the series than anything that came before it. It's challenging, immerses you in your surroundings and is completely unforgiving when you make bad decisions. 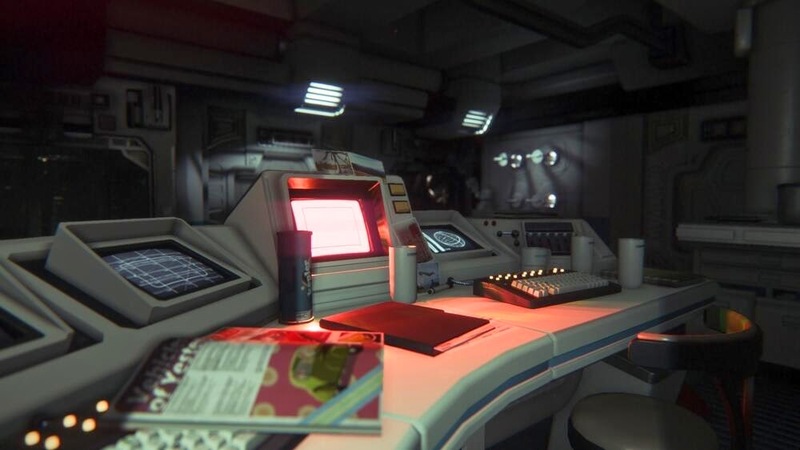 As such, I highly recommend pre-ordering Alien Isolation and for the best experience possible, buy yourselves the very best surround sound you can afford and then lock yourselves in a very dark and secluded room, as this is one title worth looking forward to and experiencing!